To date, there have been over 2,000 studies showing how coconut oil is one of the healthiest superfoods on the planet. The benefits and uses of coconut oil go far beyond what most people realize, making coconut oil a true superfood. Yes, I want to try coconut oil today! One of the healthiest superfoods on the planet! Research has shown that 62 percent of the oils present in coconut are composed of three incredibly healthy fats: caprylic acid, lauric acid, and capric acid. These three healthy fats are known as medium-chain fatty acids, and they’re the perfect source of sustained energy. Unlike other fats that have to go through so many steps before being utilized by our bodies, medium-chain fatty acids have a faster, more efficient metabolic route. It’s these healthy fats that help make coconut oil the versatile superfood it is today. Supports healthy brain function: Coconut oil can help support healthy mental alertness at any age. 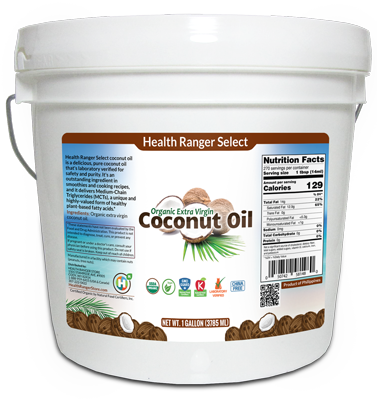 Encourages healthy digestion: Coconut oil supports healthy digestion by assisting the body in absorbing fat-soluble vitamins. Promotes healthy skin and hair: Used internally or externally, coconut oil can improve the appearance of your hair and skin. 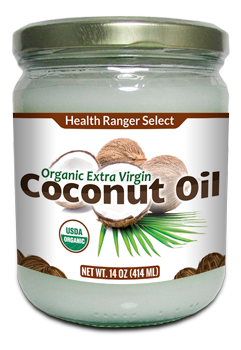 Coconut oil is high in natural saturated fats, which is converted to healthy cholesterol that's needed by your body. Encourages teeth and gum health: There's a reason why coconut oil is important in oil pulling. It plays a critical role in keeping your gums and teeth in optimal condition. Immune system support: Coconut oil helps support the immune system. 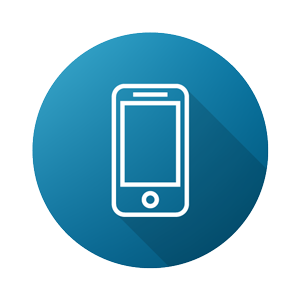 Assists in sensible weight loss plans: Coconut oil coupled with a healthy and active lifestyle can help you meet your sensible weight loss goals. Supports gallbladder, pancreas, and liver health: Making coconut oil a part of your diet can do your body's other functions a lot of good. Supports endurance: Whenever you experience minor fatigue, you can turn to coconut oil to help restore wakefulness. The healthy saturated fats of coconut oil give it a high smoke point, making it the ideal oil for cooking. In the morning, swish one tablespoon of coconut oil in your mouth for 10 to 20 minutes. Do not swallow. Spit the oil in the trashcan afterwards (not in the sink) and rinse with sea salt water for unbeatable freshness. Did you know that you can bake with coconut oil? Use it as a healthy substitute for butter or vegetable oil. Warm a pea-sized dollop on your hand and rub it into your skin in a circular motion. Allow it to sit for five minutes before wiping it away to reveal smooth and supple skin. Warm coconut oil in the palms of your hands and work it into dry or damp hair. Comb it to distribute it evenly, then allow it to sit for 30 minutes or longer. Remove the coconut oil with shampoo and warm water. Add creaminess to your smoothies with one to two tablespoons of coconut oil. 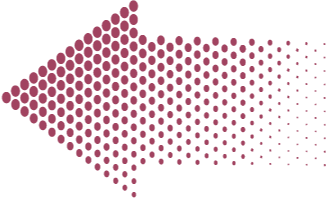 This is also a delicious way to reap its many benefits. Yes, I want to make coconut oil a pantry staple! 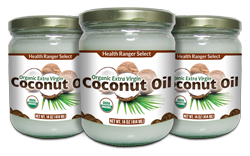 Why choose Health Ranger Select Organic Extra Virgin Coconut Oil? Lab verified for heavy metals and purity: Our coconut oil goes through intense scrutiny and verification in our lab. Gently processed without using chemicals and bleach: The refining process of regular coconut oil calls for chemicals and bleach, both of which we've avoided in our coconut oil harvesting process. Making it zero-China: Our coconut oil is carefully sourced from reliable growers, and they're NOT from China. There is so much that coconut oil can do for you. That's why it's important to make sure you only bring the best coconut oil into your home; that's also why we've gone above and beyond to bring you the cleanest, tastiest, and most nutritious coconut oil on the market. 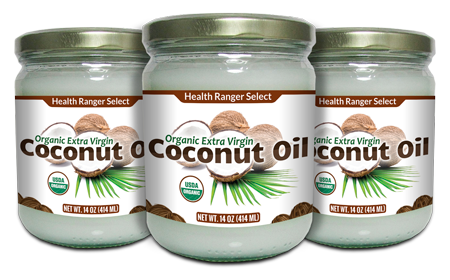 Give your body a real treat with Health Ranger Select Organic Extra Virgin Coconut Oil today. Give me the best coconut oil!